As the rain came down in practice three we thought there could be some surprises as qualifying approached. But the rain subsided, the track dried out and Lewis Hamilton stormed to pole with an astonishing lap. The first runs of Q3 ended with Hamilton Vettel and Verstappen within 0.061 seconds of each other. But in the final shootout Hamilton found a further 0.800 seconds and no one had an answer for him. Raikkonen out qualified Vettel to take his place on the front row and Verstappen was the quickest of the Red Bull’s to take 4th. Ricciardo qualified 5th but with his very unfortunate 3 place grid penalty will start 8th in tomorrow’s race. The two Red Bull’s used the supersoft tyres in Q2 so they will be the only team in the top 10 to start the race on the harder compound. With tomorrow likely to be a one stop race they will be hoping to stay out as long as possible and then make things happen on the ultrasofts at the end of the race. There’s one driver from the big three missing and that’s because Bottas put his Mercedes into the wall at the start of Q3. A disappointing qualification in what is a historically difficult track for the Finn. After a 5 place grid penalty for changing he gearbox, Bottas will be hoping he can make an impact on the race from 15th on the grid. The two Haas and the two Renault completed the top 10. Magnussen just pipped Grosjean who will jump up to 5th and 6th following Ricciardo’s grid penalty. Hulkenberg also benefits and jumps up to 7th with Carlos Sainz in the other Renault starting 9th. Neither McLaren managed to make it into Q3 with Alonso and Vandoorne in 11th and 12th. They will be hoping this is the only Saturday of the season where neither car makes it into the final session. Perez and Ocon qualified in 13th and 15th as Force India continue to struggle with the Williams of Lance Stroll sandwiched between them. 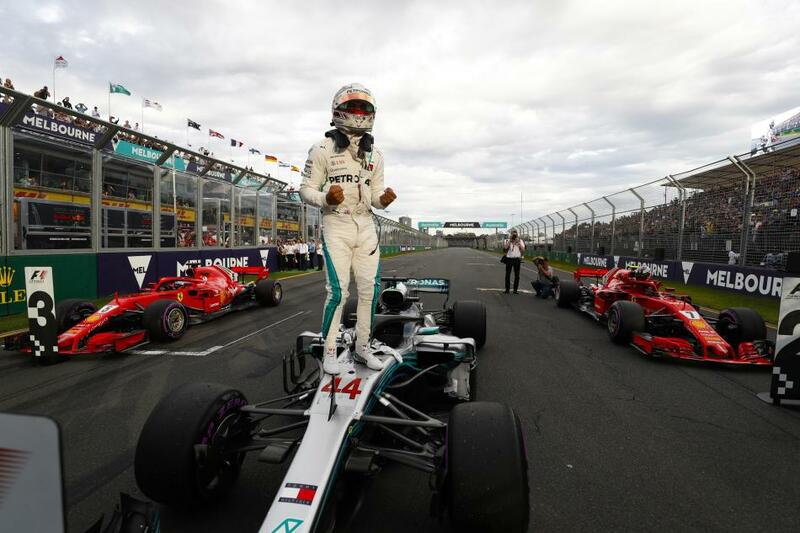 Four out of the five drivers to go out in Q1 were first time drivers at Albert Park which just goes to show experience is everything in this game. Toro Rosso struggled after a promising winter. Hartley narrowly missed out on Q2 and a mistake by Gasly means he starts at the back of the grid. This allowed the Sauber’s a chance to jump up the grid and they duly obliged. The car looks like a nightmare to drive as it slides around in the corners but Ericsson and Leclerc managed 17th and 18th in a promising first qualifying for the new relationship. Sirotkin finishes off the grid in 19th in his first qualifying as an F1 driver.